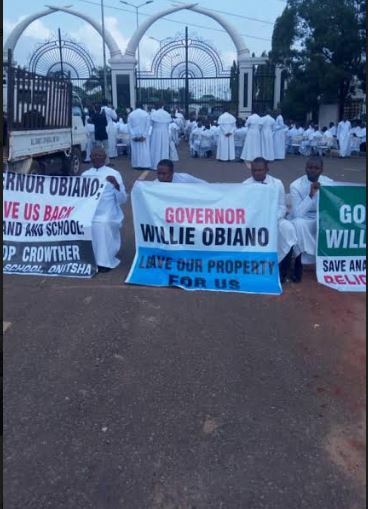 Priests of the Anglican communion, all dressed in their priestly robes and numbering about 200 have blocked the Anambra State government house in protest. 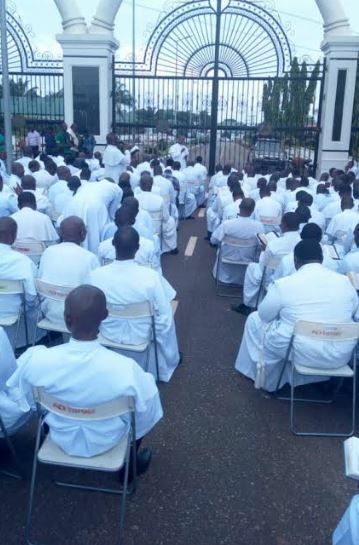 DAILY POST gathered that the protest is over the alleged seizure of a primary school in Onitsha by their Catholic counterpart which the Anglicans claim belonged to them. 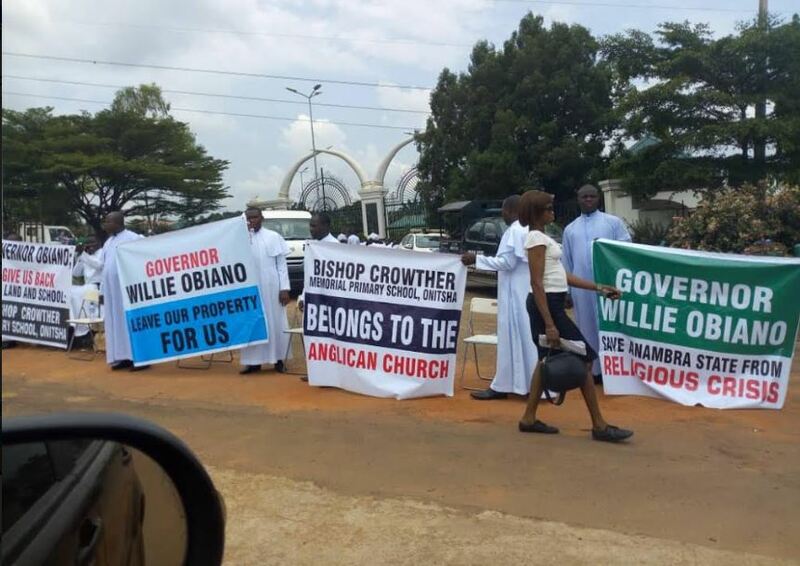 Our correspondent gathered that the church was accusing Governor Willie Obiano, who is a Catholic of aiding his church in the seizure of the property which belonged to them.